When I lead our Being a Trusted Advisor and Trust-Based Selling programs, I ask participants early on what’s the “one big thing” they want to get out of their participation. 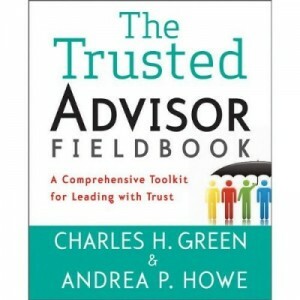 Invariably, at least a quarter of people in the room will say something along the lines of “tools for accelerating trust-building.” And those who don’t say it usually vigorously nod their heads in agreement. 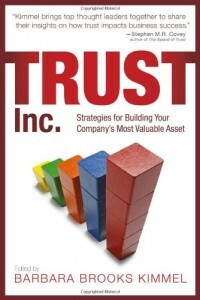 How to build trust quickly boils down to a simple three-step approach. Today I’ll tackle the first two steps—arguably the most important and least practiced. 1. Mind your mindset. What are the stories you’re carrying in your head—about trust-building, about the people you’re meeting with, about yourself? Take stock. Be vigilant. Bust the myths. If you assume trust will take time, you’ll miss opportunities that are right in front of you (See Top Trust Myths: 1 of 2: Trust Takes Time) . If you assume it’s going to be difficult to bond quickly with your prospective client, well, you’re probably right. Being trustworthy is as much about attitude as it is about skill. 2. Set your intentions carefully. Be committed, not attached, to a specific outcome. Let go. If you’re meeting a prospective client for the first time, you can be certain of the strengths of your offering while at the same time realizing that it may not be the best solution for her/him right now. If you’re taking over an account for your colleague, you can be confident in your abilities while also being open to the possibility that you’re not the right replacement. Attachment equates to high Self-Orientation, and I can’t think of a better way to lower or destroy trust quickly; it’s the obvious opposite of rapid trust creation. On the other hand, giving people the psychic freedom to choose increases trust. Be someone around whom they experience freedom, not pressure. Here’s why Steps 1 and 2 usually get short-shrifted: they seem a little woo woo. You may be tempted to skip them in favor of something more concrete and action-oriented. It’s a common trap; don’t fall into it. These steps are woo woo in the sense that they are more about being than doing. And it’s precisely the kind of self-work required to alter who you’re being that makes the difference between a good consultant and an extraordinary consultant, a so-so salesperson and a longstanding member of the President’s Club, and an average advisor and a Trusted Advisor. (The woo-woo thing has some pretty solid science behind it too–thought drives actions which then result in outcomes. You can be scientific and believe this too). Sure, the doing part matters—we’ll look at practical ways to accelerate trust in Part II of this blog—it’s just that the choices we make and impact we have in the realm of doing are directly tied to our mindsets and intentions. Lead with the woo woo and you’ll go beyond “good,” “so-so,” and “average” in a very short time frame.